Guide dogs, buddy dogs and service dogs are working dogs in different ways. You find them all under the term assistance dog and DISA works every day with these heroes. The guide dog is the ultimate proof of "helping dogs", taking his or her owner safely through life. Black Labrador showing where the stairs start. A buddy dog is more than a normal dog. A carefully selected friend who is there for children with special needs and gives the whole family more freedom. For a child getting involved in a buddy dog and getting a best buddy - it can change how they see the world. 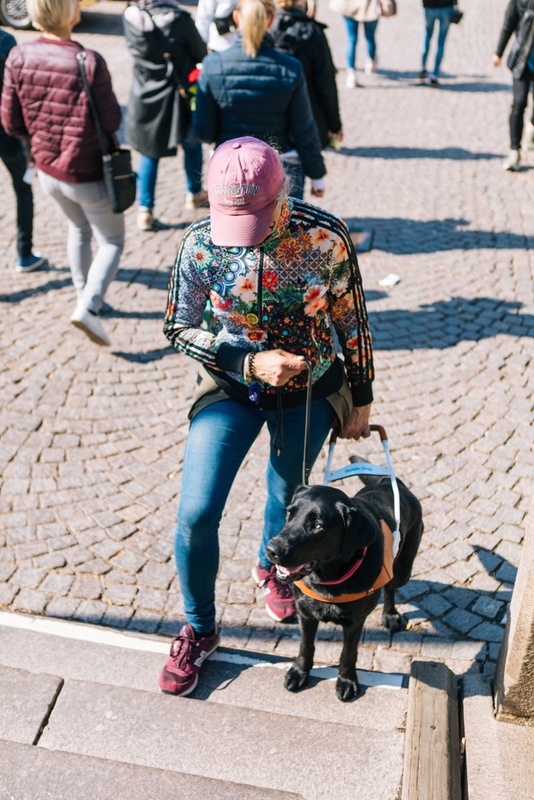 A service dog helps a person with a disability in their daily life. 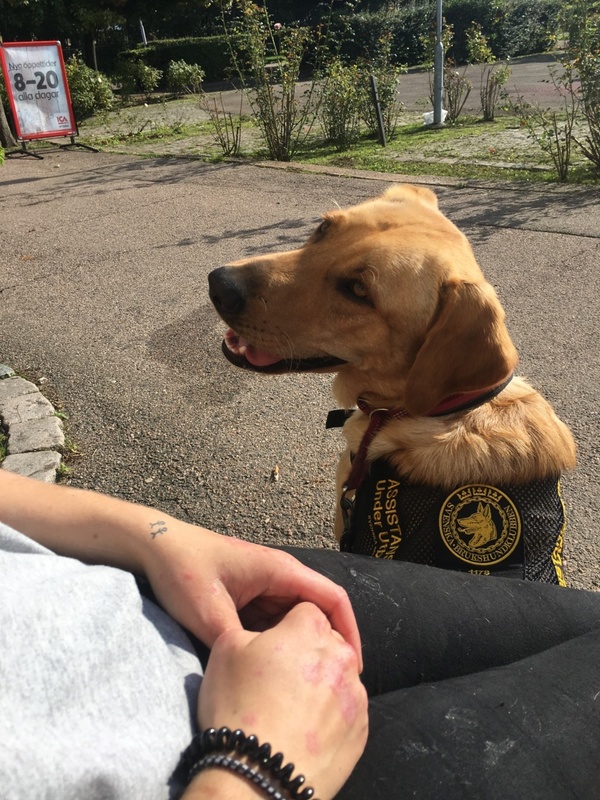 A service dog is a loyal helper for a person with a disability; you don´t need to wait for your personal assistant.